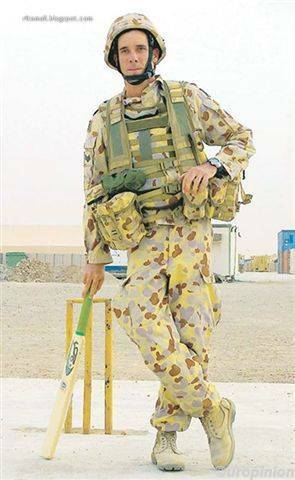 Cricket is supposed to be the sport of gentlemen. It’s about playing with honour, trying your best and getting smears on your trousers. It’s about dignity. For goodness sake, they stop play for tea—surely that’s indication that the game’s got distinction? The no ball scandal at Lord’s has rocked the cricket world this weekend. In many ways, though, it should come as no surprise. Things have been heading the wrong way ever since they started wearing coloured shirts. 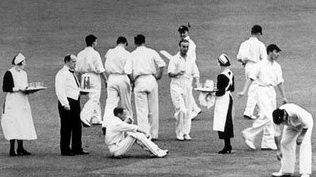 Unlike footballers with their garish get ups and super injunctions, a man dressed in cricket whites says, I’ve no reason to hide: I am committed to being a gentlemen both on and off the pitch. I’d love to be able to blame the fall in moral standards on foreign teams, but we must make sure our own hands are clean before we start pointing fingers. The England team is not innocent of drunken or dodgy behaviour and lack of focus. Even our new heroes, Stuart Broad and Jonathan Trott (who, I’ve just learned, goes by the nickname “Booger”) could show a bit more class at times. It’s a crucial point in the history of cricket. Fans must deserve more respect for the game from our cricketers. I, for one, will do all I can to stop this cancer, and I hope my readers will follow suit. Christopher and I have just returned from our local cricket ground where we staged a two hour silent protest to make our grievances known. I wore my new black dress. I looked fetching but also judgmental. I hope I’ve made my point.